Today’s article is one I am glad to bring to you because it shares with you how the legacy of a visionary is still changing the world for the better, even after his death. A few years ago my brother and I were introduced to The Ray C. Anderson Foundation, which is a private family foundation created to honor the legacy of Ray Anderson. You see, Mr. Anderson and his company Interface single-handedly changed the U.S. carpet industry from one of the dirtiest industries to one of the cleanest industries. You can learn all about his work by visiting their website and watching some of their videos. But this article is about one of the foundation’s latest projects—and one that absolutely amazes me. The project is called “The Ray.” I had the opportunity of interviewing the executive director of the foundation, John Lanier, and this is what he had to say about the project. In the summer of 2014, a 16-mile corridor on I-85 in Troup County, Georgia, was named the Ray C. Anderson Memorial Highway: The Ray. Every year, the U.S. loses about $277 billion in property damage due to vehicle accidents. 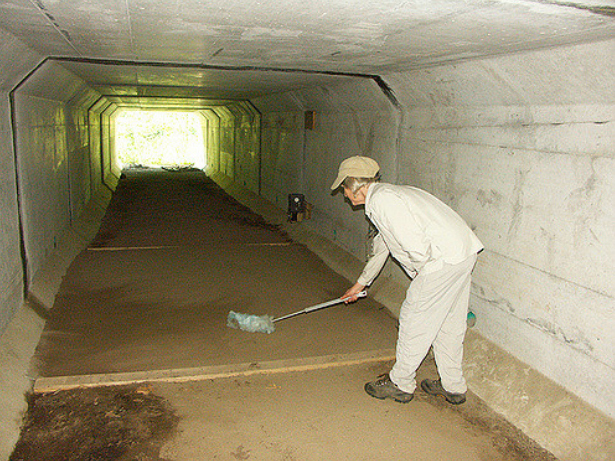 More than 5 million tons of CO2 is emitted every year in this 16-mile corridor alone. Roadways damage natural habitats on 15% of U.S. land. Every year, the U.S. spends about $3.3 billion on wasted energy. Roadway deaths have increased more than 5% nationally since 2011. Their report inspired us at the Ray C. Anderson Foundation to ask, What if? What if we reimagine the way we connect our communities, our lives, and our world in a way that’s safer, more responsive to the climate, more regenerative to the environment, more uplifting to the spirit, and more capable of generating economic opportunity? In seeking an answer, the foundation created a new nonprofit, The Ray, to be the force behind turning this memorial highway into a living lab, a model for what’s possible for roadways across the globe. 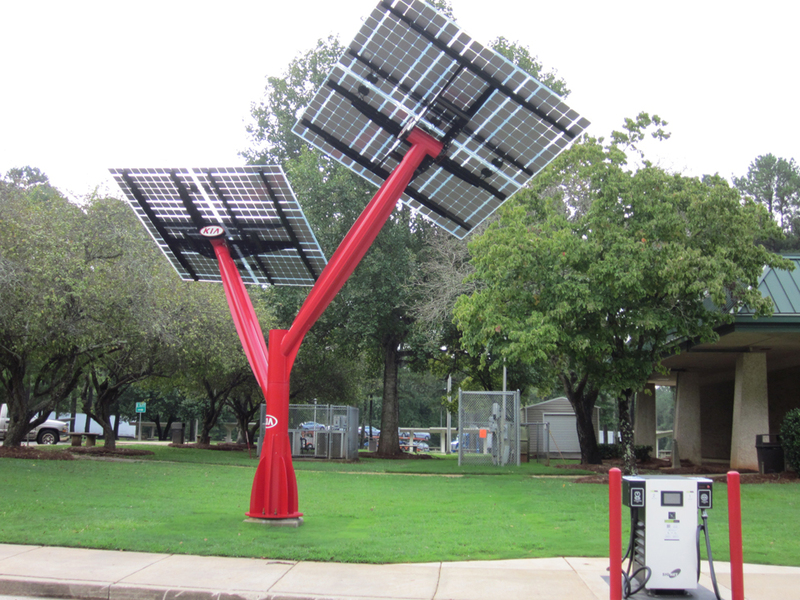 In October, we celebrated the installation of the first sustainable infrastructure on The Ray, as we dedicated Georgia’s first solar-powered PV4EV (photovoltaic for electric vehicle) charging station at the Georgia Visitor Information Center in West Point. Kia Motors Manufacturing Georgia and Kia Motors America funded the project, allowing EV owners traveling between Atlanta and Montgomery, Alabama, access to Level 3 quick chargers for all EV makes and models. Future plans for The Ray call for bioswales with native plant species, which will limit pollution and flooding. The foundation also hopes to begin collecting traffic, weather, collision, and pollution data to inform smarter design and to enhance future communication between cars and the road. 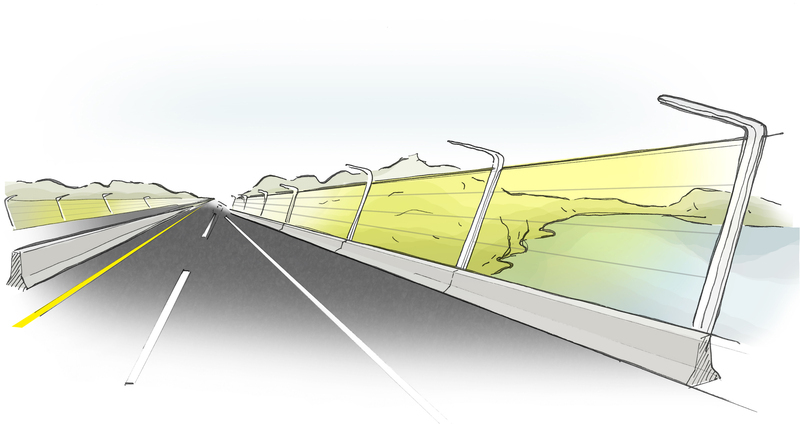 The foundation is also thinking about creating solar barriers to reduce both noise pollution and traffic, and solar farms that would connect with the local community. By 2020, the foundation hopes that The Ray’s innovations will include wildlife conservation, climate modeling, renewable construction materials, more efficient lighting and signage, and improved vehicle safety and efficiency. 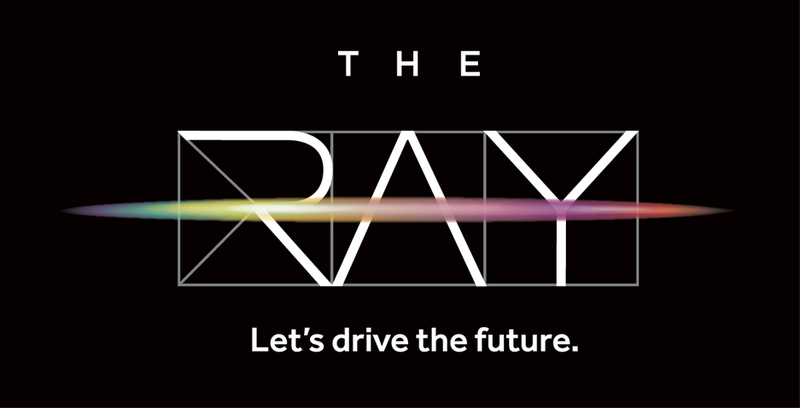 The Ray will be a zero-carbon, zero-deaths, zero-waste, zero-impact highway—that’s the vision. Join us! #RideTheRay and join the movement at www.theray.org. The plans to build such a progressive corridor are impressive. What are some of the biggest hurdles to overcome? Many of the technologies that we are excited about at The Ray have never been demonstrated in the U.S., including the Wattway (a road composed of photovoltaic cells) and solar sound barriers. The U.S. Department of Transportation (DOT) and state DOTs need to perform testing and planning for safety, but DOTs are underfunded and staff are stretched to keep up with core transportation construction and maintenance functions. The Ray wants to serve DOTs as an innovation and technology partner, but the process to final execution can take time. Have you also looked at including wildlife corridors, which might allow animals to have a safe way (over or under) across The Ray? Can you explain what bioswales are? (I had to actually look up that word myself!) I have heard that planting wildflowers along busy highways actually reduces trash by 35%. Is this what you mean by bioswales? 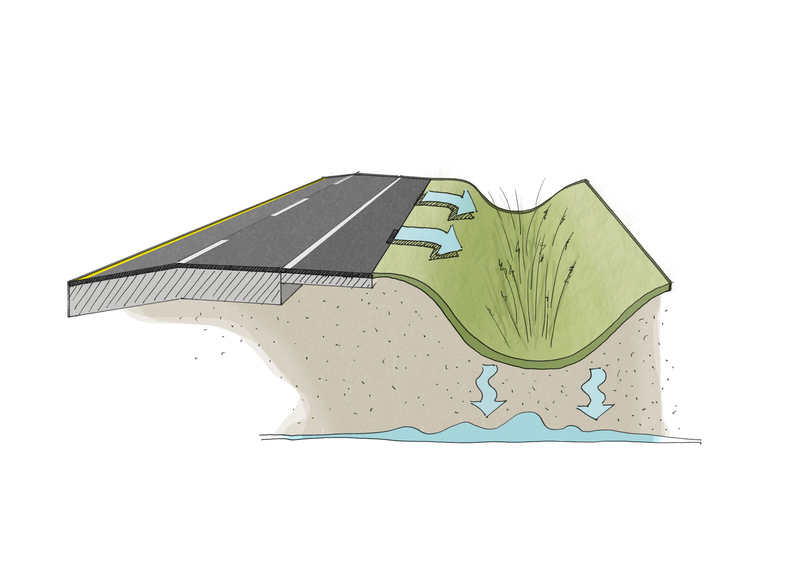 Bioswales of unmowed, native grasses are efficient at controlling fast-moving storm runoff as it streams off the surface of the highway, trapping chemicals, metals, oil and other pollutants carried by the rainwater before it can reach the watershed. Georgia DOT will plant at least five acres of bioswales along The Ray this fall, which will be the first bioswales pilot in the state. You also mentioned that the vision is for the corridor to be a ‘zero death’ highway. How can this result be achieved? We believe that the development and deployment of autonomous vehicles and trucks will save many of the 35,000 lives that are lost on U.S. roads and highways every year. However, The Ray is interested in safety innovations and in-road intelligence that can be installed now to give drivers clearer guidance, more warning, and information about road conditions that can make car travel safer today. Here is a great article from the folks at Coexist that also explains the project in more detail: Can A 16-Mile Stretch Of Road Become The World’s First Sustainable Highway? As you can see, the vision and goals of the folks at The Ray C. Anderson Foundation and The Ray are lofty but they also sound attainable. After meeting with such inspirational people, I can only ask myself “why has this not been attempted sooner?” We need more companies around the world to be as forward-thinking as this team is and we are so grateful that we had the opportunity to learn more about their work. Please visit their website to learn how they are changing the world for the better and let them know what you think of their work. If you haven’t seen the Foundation’s Gray Notes Video, you can find it here. And you can find other videos on two of the foundation’s initiatives here and here. Stay tuned next week as we learn about an amazing project called ‘Stand With Wildlife‘. Please share this article with everyone.